Orange Estates still has remnants of the orange trees that once covered much of Downey. KCET wrote an interesting article that tells the tale of Downey: From Orange Groves to the Apollo Space Program. Sometimes I forget how long people have lived in the Downey area. It was in the late 1800s that John G. Downey realized the great potential of the citrus industry in southern California. 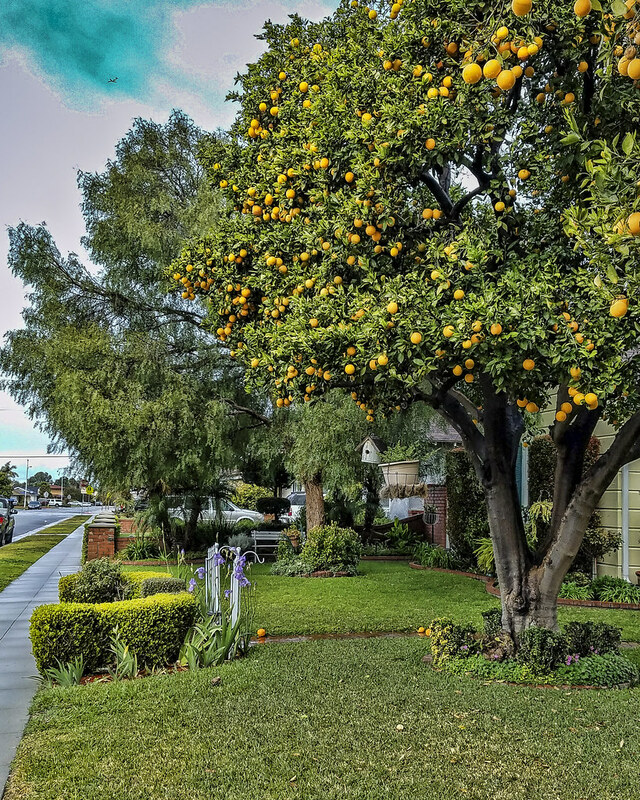 He imported a number of different varieties of oranges into his settlement, and by the 1880s there were many acres of orange groves in the areas adjacent to Downey. Fun fact: An orange tree can grow to reach 30 feet and live for over a hundred years.